This trip combines two of our favorite activities: sea kayaking and yoga! 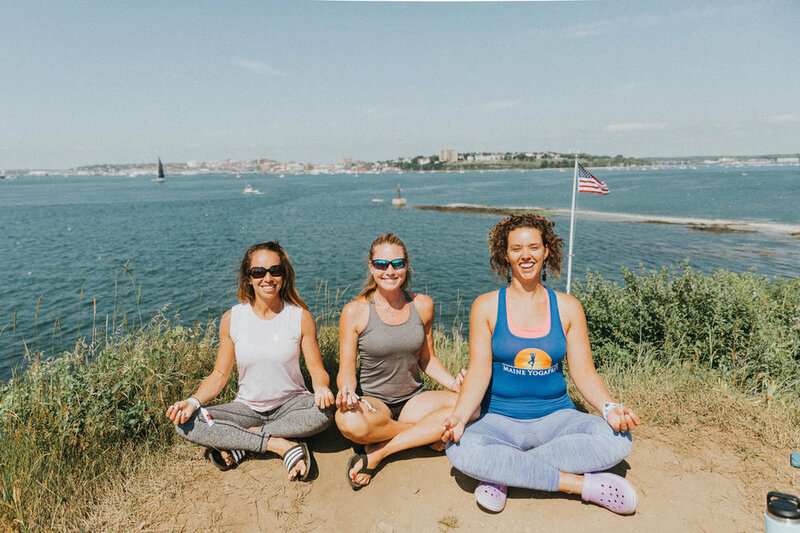 Paddle out to Fort Gorges for a 45-minute yoga session taught by Ashley Flowers, Sarah Graham, or Cayce Lannon. 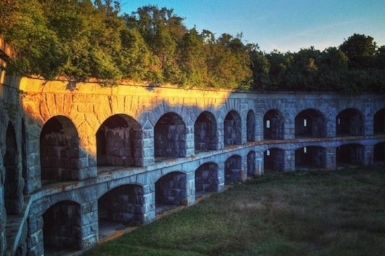 Fort Gorges, a Civil War-era granite fort surrounded by water, is one of the most fascinating spots in Casco Bay, and it's only accessible by small boat. The former parade grounds, surrounded by gorgeous granite walls, is a remarkably ideal spot for yoga. The trip will begin with your licensed kayak guide offering a basic kayak lesson and then leading the group on a paddle through Portland harbor and across open water to tiny Hog Island. You'll land on a beach by the fort's entrance and explore its elegant granite halls and dark passageways. Make sure you check out the gorgeous view of the Portland skyline from the rooftop! Then your yoga class will begin in the grassy, calm parade grounds of the fort. You'll stretch, strengthen and rejuvenate. The yoga class is suitable for all ages & abilities. The kayaking part of the trip is great for all skill levels -- even first-time kayakers. $60 per person. Kayak and paddling gear included.